One train of 8 carriages can carry 1000 people. 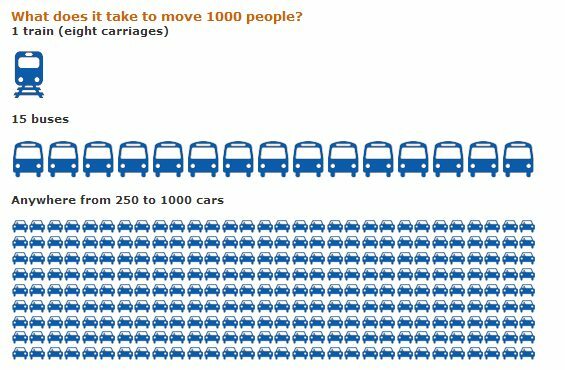 A train line can move 50,000 people an hour. One freeway/tollway lane can move 2,500 people an hour. Four freeway/tollway lanes can move 10,000 people an hour. This page was last modified 14:26, 14 May 2013.